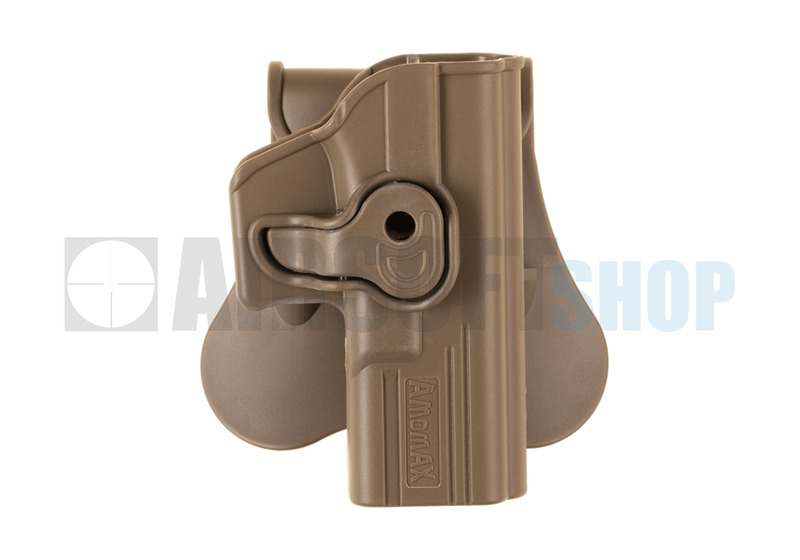 Amomax Paddle Holster for WE17 / KJW17 / TM17 (Dark Earth). Amomax holster is compatible with 4 different carrying platforms – paddle (standard), belt clip, MOLLE, and drop leg platform. 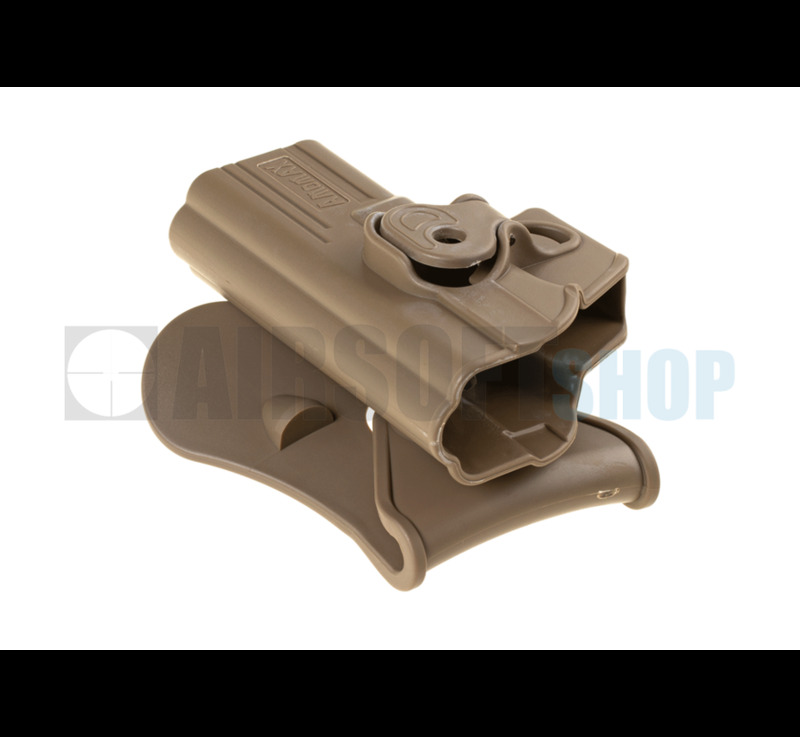 Paddle and belt clip carry holster on the waistband. 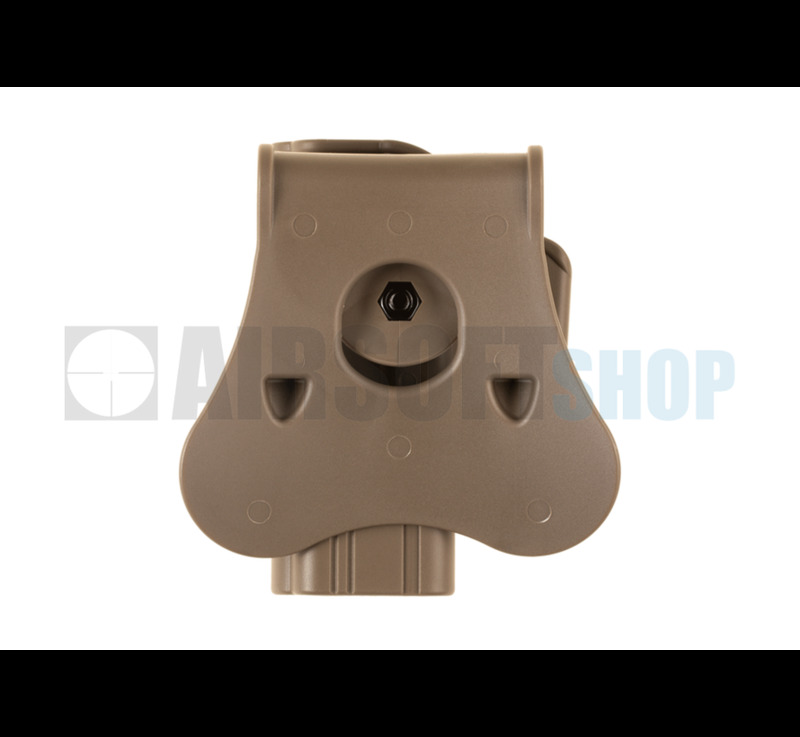 Airsoft players would use them during normal shooting training or compeitions, such as airsoft pistol shooting, 3-gun shooting, 4-gun shooting, 5-gun shooting, and etc. 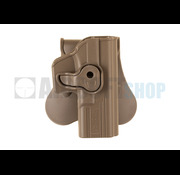 When atteding airsoft events, shooters would need MOLLE to carry an airsoft on the tactical vest, or a drop leg platform to carry an airsoft on thigh. 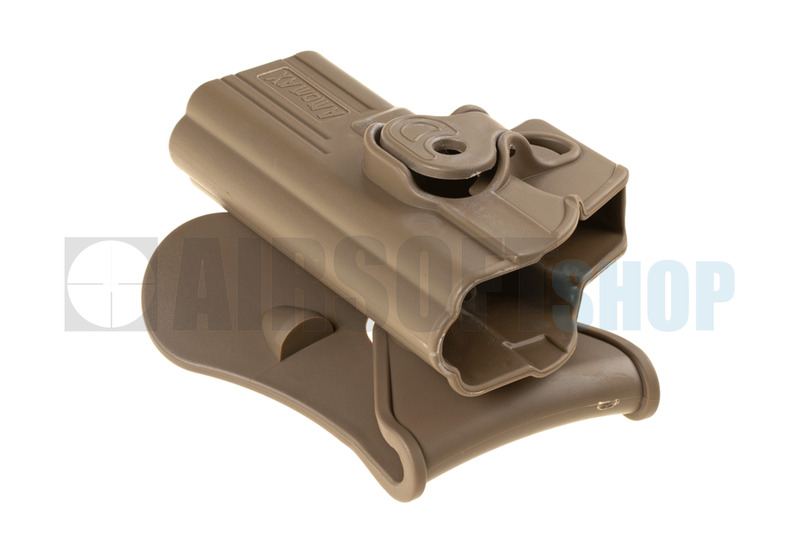 Holster body and carrying platform are connected with a tooth gear and a screw. 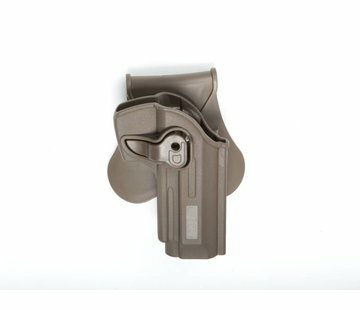 The holster body is 360 degrees rotation. 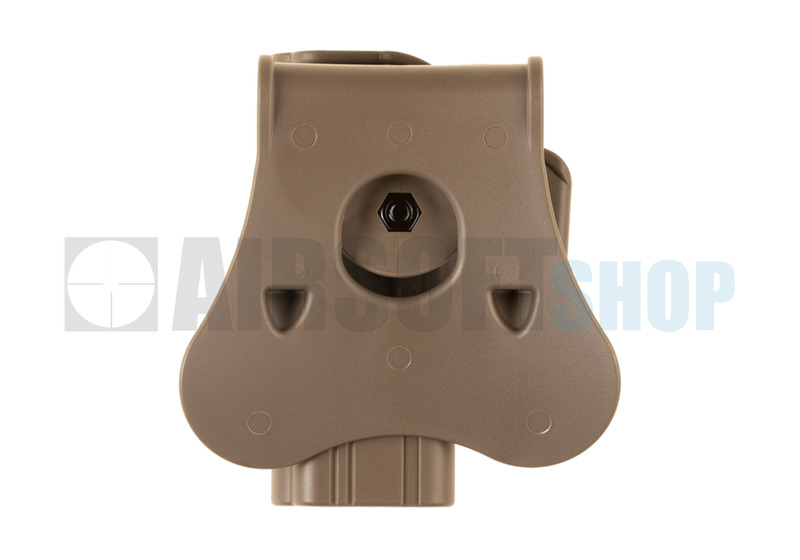 Airsoft players can easily adjust the carrying position.